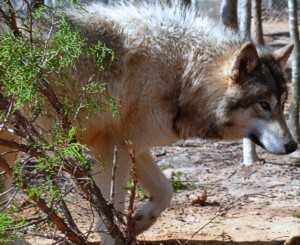 We at Wolf Howl Animal Preserve, LLC are dedicated to the preservation of the Wolf. Man has been the Wolves' greatest threat. 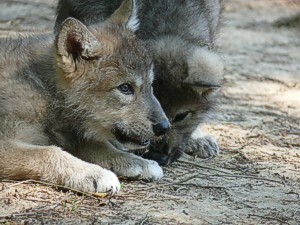 We want to give the Wolf a safe haven in which the species can survive and multiply. We want to be open to the public for educational tours and fun events that will alleviate some of the bad press that the Wolf has received in the past, e.g. "Big Bad Wolf, Werewolves, Wolfman". It is my dream to hear the "Wolves Howl" once again in the wild across much of the United States where they once roamed freely. It is important for our survival as well as theirs to restore them into the ecosystem. Endangered or threatened species are a warning sign to Mankind's own survival. Shelters/Dens - met this goal in 2/2009, Wolves now have a 100 sq ft stone den. Food - we are buying food from a butcher. Fresh water supply - met this goal in 9/2005.